The introduction of "free and open" access to global high (10-30 m) resolution satellite imagery (e.g. Landsat, Copernicus Sentinels) with revisit frequencies up to 6 days will lead to a marked increase in monitoring applications at local, regional and continental scales. Evolving "Big Data Analytics" techniques are required to scale up the detail of derived environmental information several orders of magnitude compared to current practices with low resolution satellites. The presentation will discuss the relevance of these evolving technologies, with special focus on European and Global agricultural monitoring contexts. 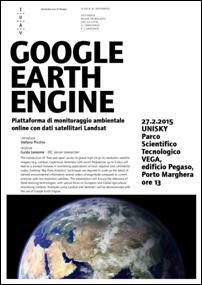 Examples using Landsat and Sentinel-1 will be demonstrated with the use of Google Earth Engine.